Cover: Bootleg created around 1978. 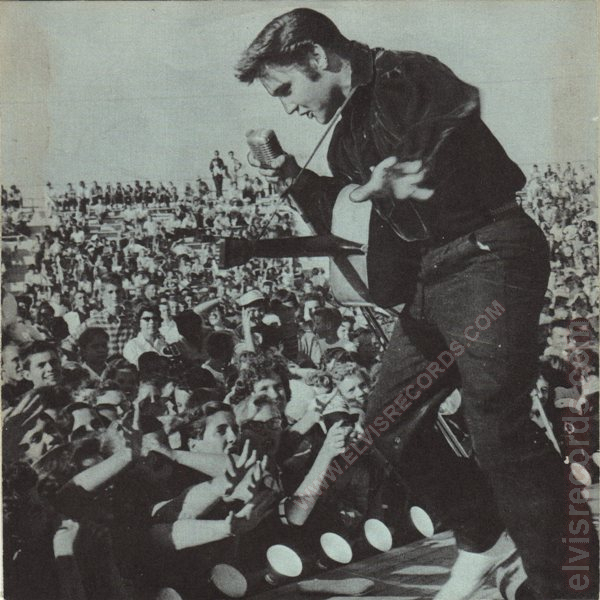 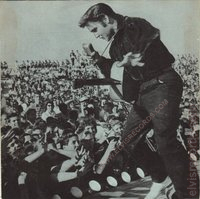 Disc: (5/1956)1. 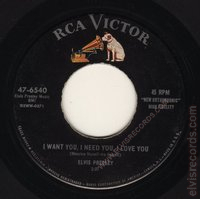 Black label, dog on top without horizontal line. May or may not incorrectly credit Mysels as Myself on the I Want You, I Need You, I Love You side. 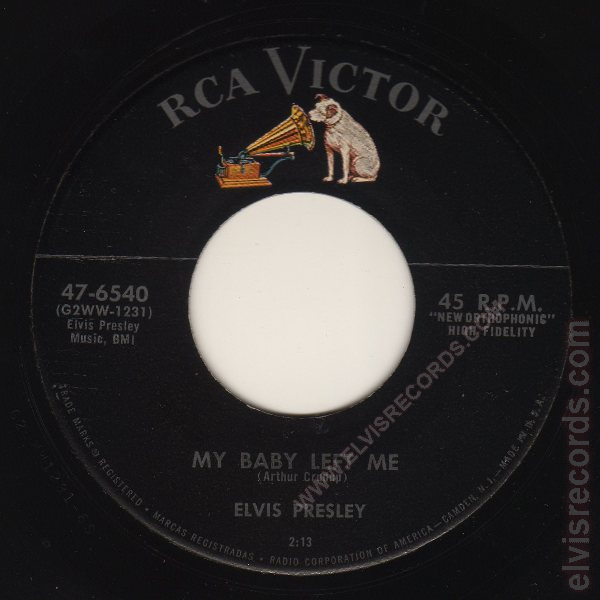 Disc: (5/1956). 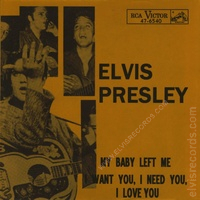 Black label, dog on top with horizontal line. 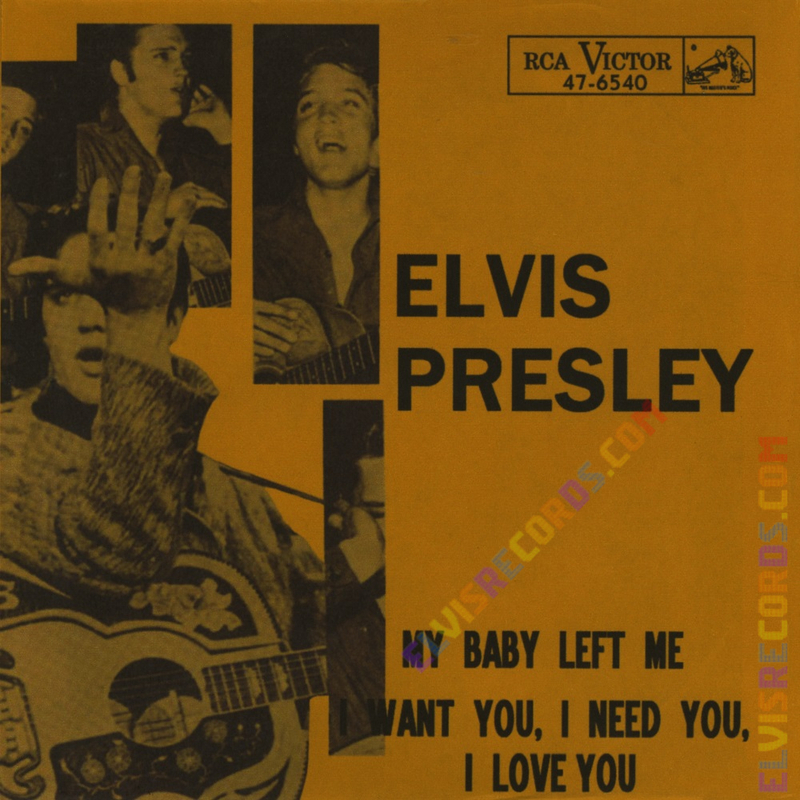 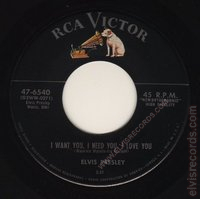 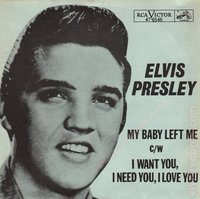 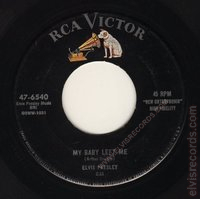 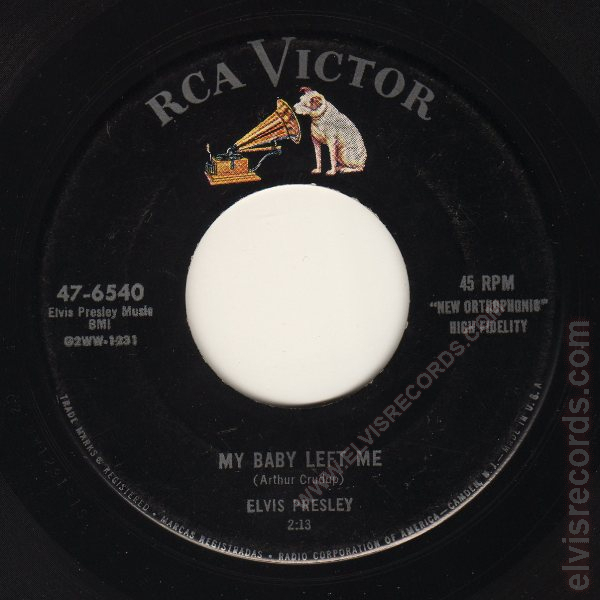 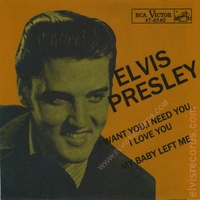 Re-released by RCA Records on 45 RPM as I Want You, I Need You, I Love You / My Baby Left Me on the Gold Standard Series label.